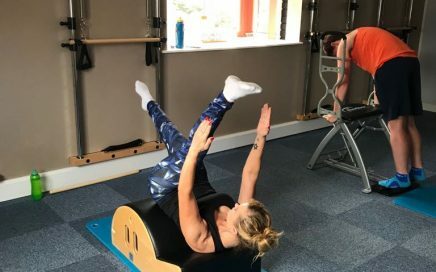 A gentle paced Pilates apparatus class which uses the Reformer, Tower and release rollers. The session is designed to help you safely strengthen your muscles, improve bone density, correct posture and release tight muscles. This highly effective apparatus class will leave you feeling stronger, healthier and improve your mobility.